Born October 1st 1969 in Rochester, NY. Richard Nickel received a Bachelor of Science in Art Education from State University College at Buffalo, New York in 1996. 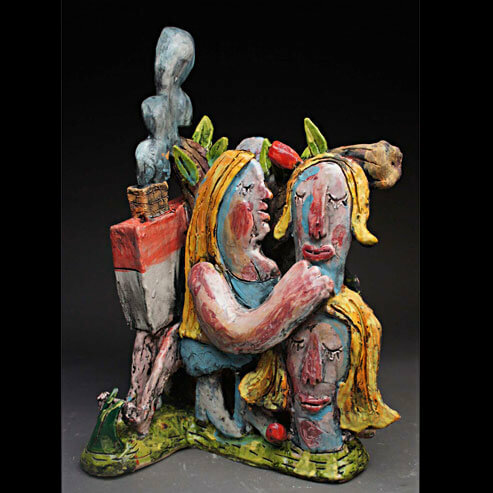 The received a Master of Fine Arts in Ceramics 2000 at Edinboro University of Pennsylvania. In the fall of 2000 he began teaching Art Education and Ceramics at Valley City University in North Dakota. In 2002 He began Teaching at Old Dominion University as the Art Education Program Director and the Ceramics Program Director. He started the Saturday Morning Art Classes in 2003. The Ohr-O’Keefe Museum of Art, Biloxi, MS , he has been also awarded several Grants on research in Education and Ceramics, Faculty Innovator Grant, ODU Summer Research Fellowship.